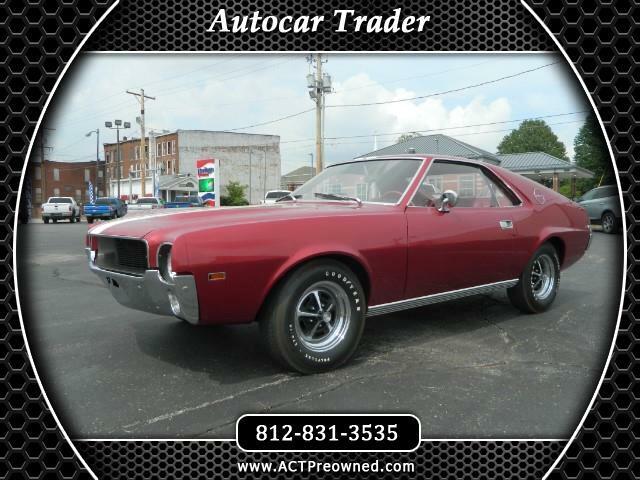 We have here a gorgeous AMC AMX! This is a clean and fresh restore on the body and interior. Includes: POWER BRAKES, POWER STEERING BUCKET SEATS, 343 V8 ENGINE,4 SPEED, GOOD RUBBER, AND IF YOU WANT AN EVEN MORE DETAIL DESCRIPTION FROM THE PREVIOUS OWNER.. THEN PLEASE SEE THE PICTURES. And keep in mind that I have a full binder of receipts, pre and post-restore photos, and general information. Give us a call if you have any questions. This car has also just had a total mech inspection and service. including oil change and flush, belts and new alt. READY TO DRIVE HOME. Message: Thought you might be interested in this 1968 AMC AMX.